modest musings: NEW! Ornate vessels for your trinkets and treasures. NEW! 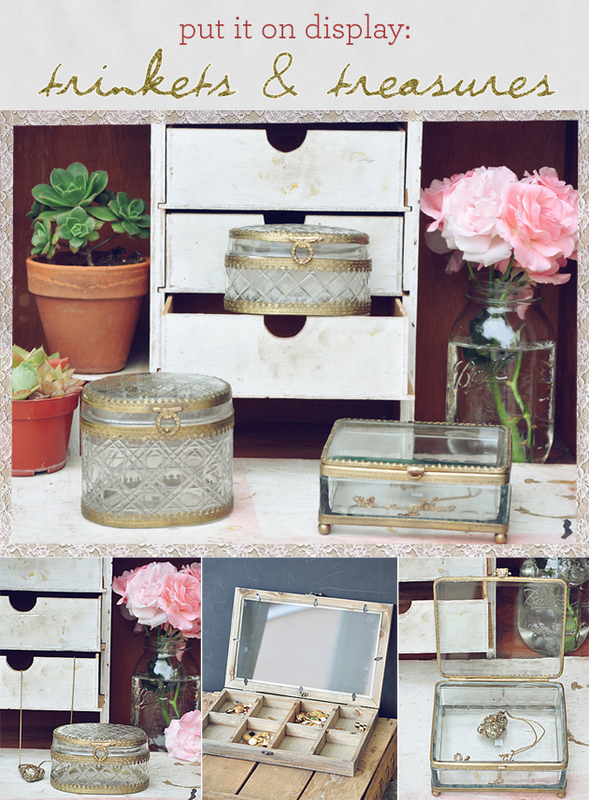 Ornate vessels for your trinkets and treasures. Check out these new items online at Modest Peach! And stay tuned for the sneak peek of our Holiday 2012 Collection! Super-Duper blog! M loving it!! And Will be come back shortly to study some New. M bookmarking your feeds also…..